The Basin track and Mackerel track offer stunning ocean views, as well as one of Sydney's best Aboriginal Art sites. 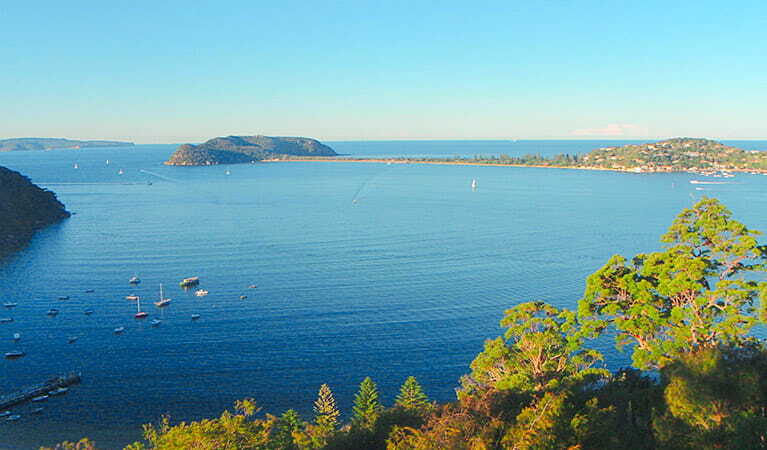 You can also enjoy a picnic and swim, or catch a ferry to other scenic spots on Pittwater. 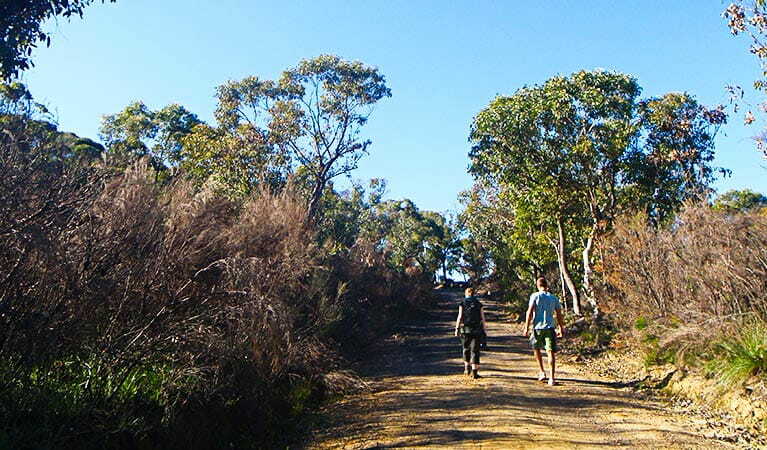 Walking the scenic Basin track and Mackerel track is an excellent way of exploring Ku-ring-gai Chase National Park. You can start both these tracks from West Head road, 8.5km from the Liberator General San Martin Drive junction. Head along the ridge top and stop to explore the Basin Aboriginal Art site. From here, follow signs to The Basin campground, and enjoy glimpses of Pittwater through the trees before descending to the campground. Spend as much time as you like in this popular area, where you can take a refreshing swim, play games on the grass clearing and enjoy the facilities. When you’re ready, you simply walk back to West Head Road via the Basin trail, or alternatively you can catch a Palm Beach Ferry and enjoy some of the beaches of Pittwater. 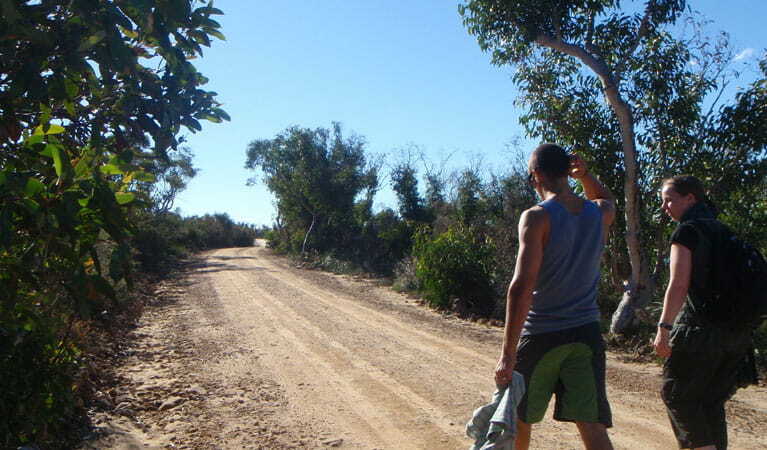 To explore the Mackerel track take the left hand turn after the Basin Aboriginal Art site. 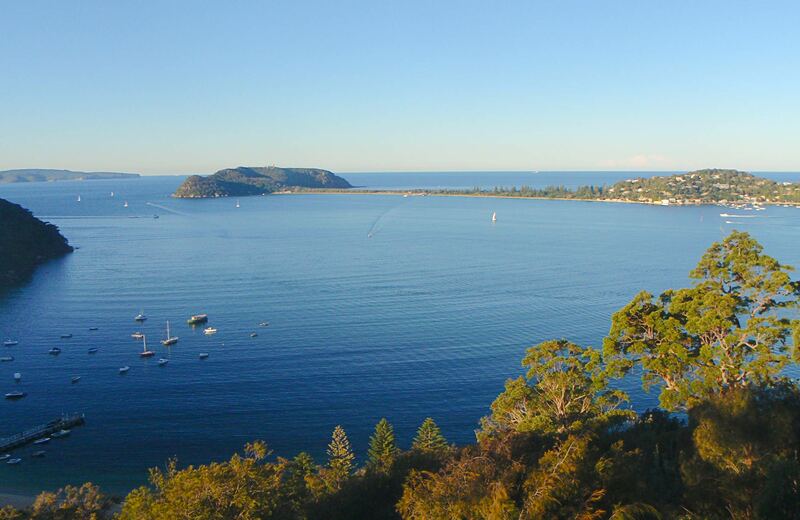 Head out to the point to enjoy the impressive views across Pittwater, and look down upon Mackerel Beach to the north and Currawong to the south. To return, follow the Mackerel track back to West Head road. Take a virtual tour of The Basin track and Mackerel track captured with Google Street View Trekker. Ku-ring-gai Chase National Park is open sunrise to sunset but may have to close at times due to poor weather or fire danger. The entrance to Bobbin Head and Appletree Bay is closed from 8pm to 6am during daylight savings periods, and from 5.30pm to 6am the rest of the year. Gates to West Head are closed from 8.30pm to 6am during daylight savings periods, and from 6pm to 6am the rest of the year. $12 per vehicle per day.